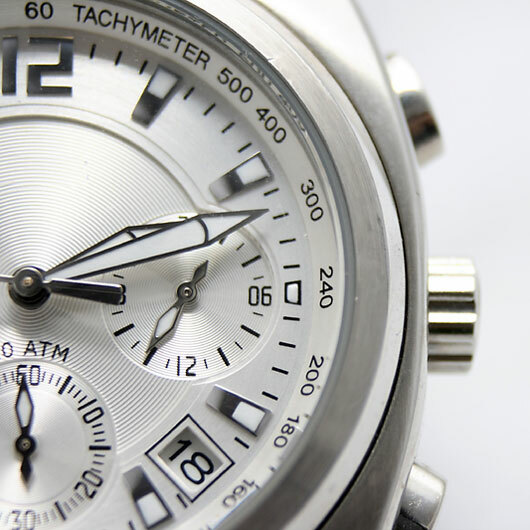 The close-up of a watch face is featured in a photograph. The watch is a sports watch, typically used by active people. It is silver with a white face, and features several different meters. The watch is photographed on a white background, and appears in the left of the frame.